A complex number, , is a combination of a real number and an imaginary number, and is written in the form or . is called the real part of and is called the imaginary part of If , is called a pure imaginary number and if , is called a pure real number. Two complex numbers are equal if and only if both their real and imaginary parts are equal i.e. if , and then and . 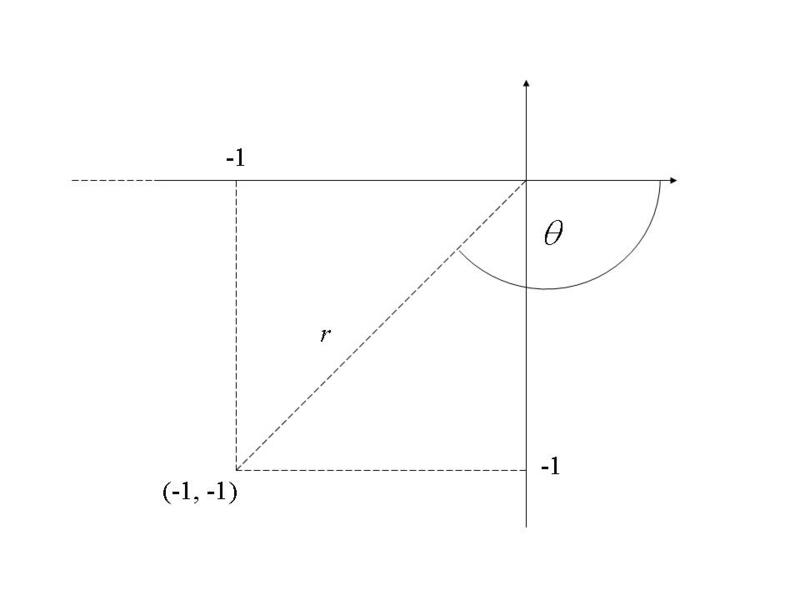 The easiest way to geometrically represent a complex number is by using an Argand Diagram (see above). 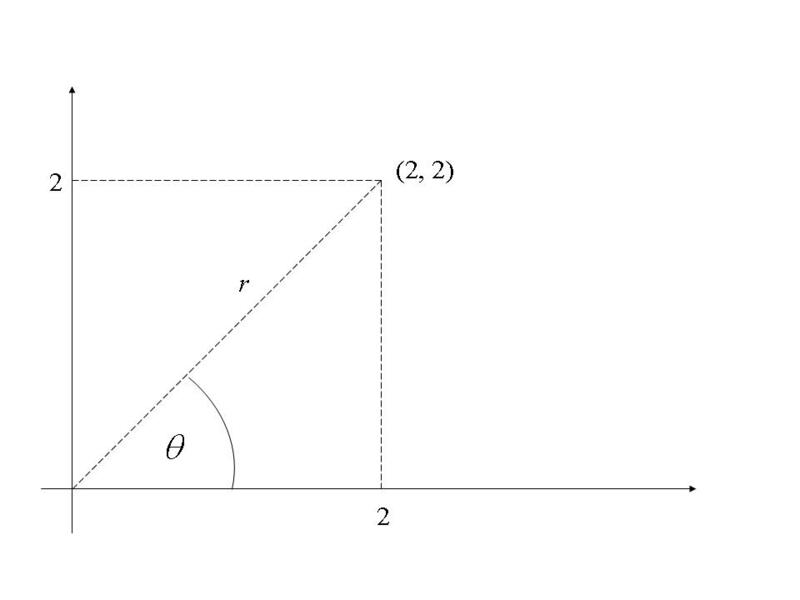 The point represents the complex number . 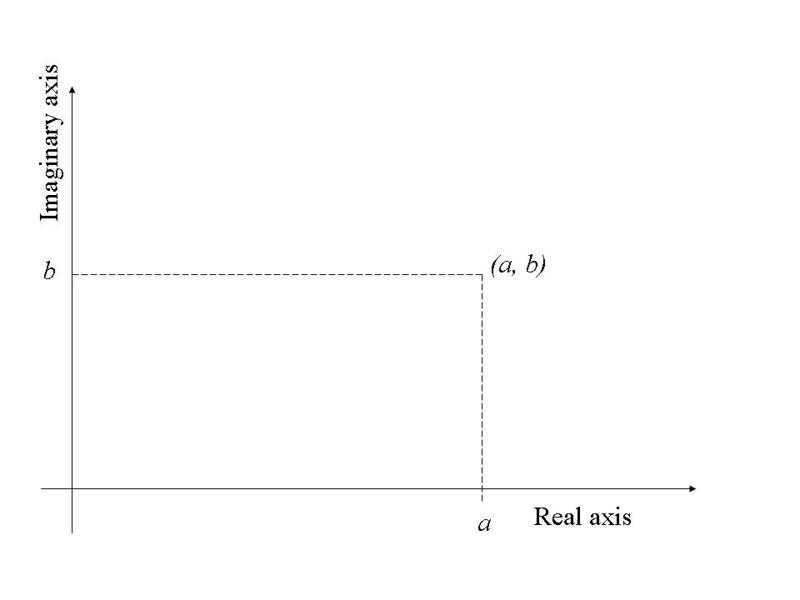 All pure real numbers exist on the real axis and all pure imaginary numbers exist on the imaginary axis. 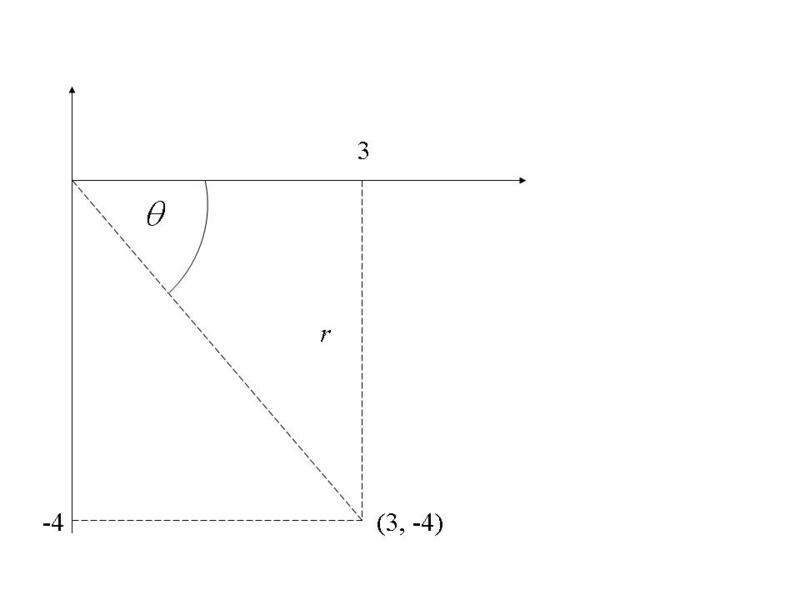 The set of all points representing all complex numbers is called the complex plane. 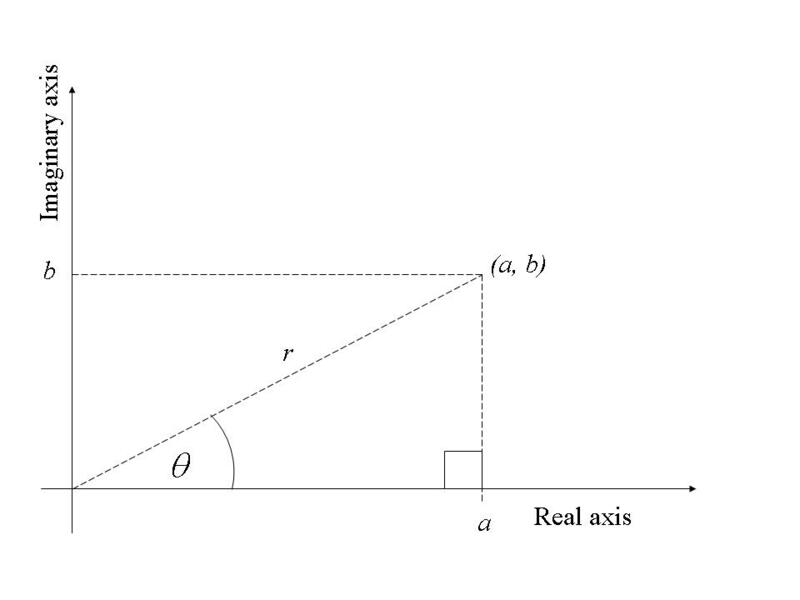 As an alternative to using Cartesian co-ordinates, it is possible to specify the point by the length of the line connecting the origin with the point and the angle this line makes with the positive real axis (see diagram below). The length, , is called the modulus of and is denoted either by or The angle, , is called the argument of , denoted by . Since all represent the same point, it is conventional to restrict the range of the argument to . This is called the principal value of the argument. It will be noted that, by pythagoras’ theorem, , so that . Also, , so that . Care must be taken when calculating the argument. 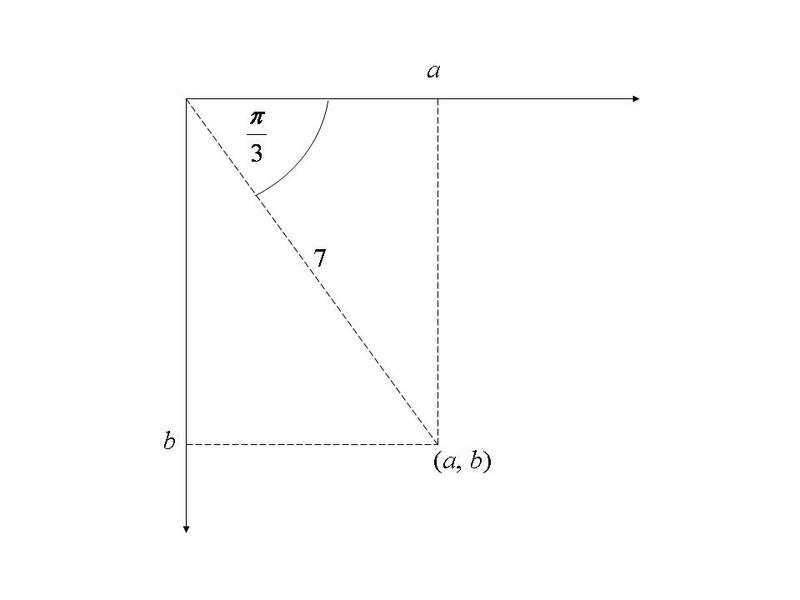 For example, if the point is in the third quadrant, so that both and are negative, gives the value of the angle in the first quadrant, whereas the true value is . i) It is generally a good idea to sketch an Argand diagram for each case. Look at the Argand diagram - the point is in the 3rd quadrant. Using elementary trigonometry it can be seen that and . This is called the polar form of the complex number (as distinct from the cartesian form shown above), and is frequently abbreviated by either or . The modulus and argument for these numbers have already been calculated in 4.2.1 above. is therefore written in polar form as . Note that although is negative, we have converted it to a positive value in the polar representation. Whilst conversion from cartesian to polar form is straightforward, conversion from polar to cartesian form can be a little more tricky. As always, it is a good idea to sketch an Argand diagram. i) Both the cosine and the sine terms are positive, and , so the point is in the first quadrant. Therefore, in cartesian form, . 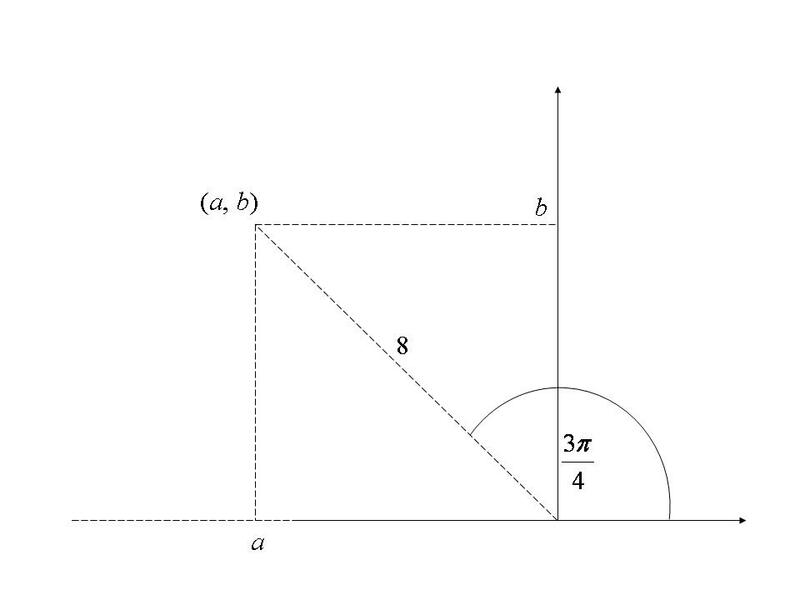 ii) Both the sine and cosine terms are positive, and , so the point is in the second quadrant. The value of is given by . The value of is given by . The complex number in cartesian form is therefore . 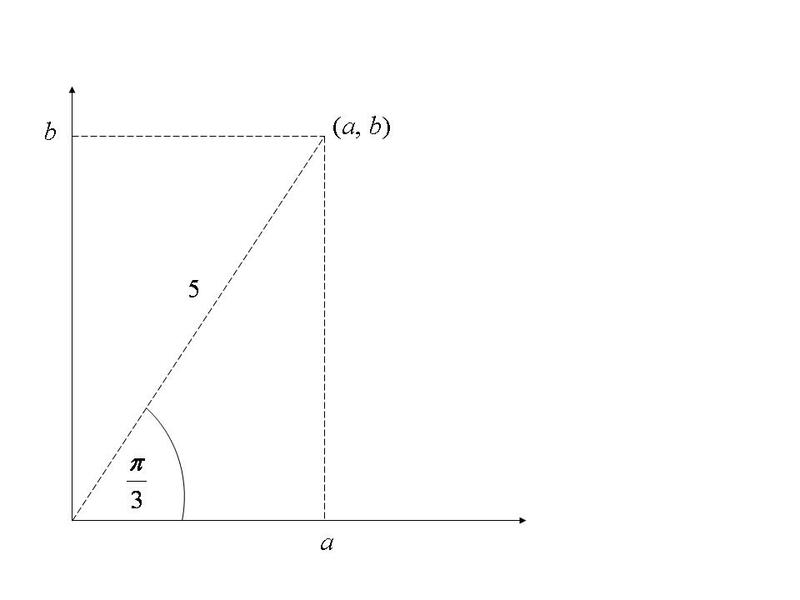 iii) Both the cosine and sine terms are positive, and , so the point is in the fourth quadrant.